Other than Mumbai, Delhi Daredevils and Kings XI Punjab are also interested in getting Dhawan’s services. 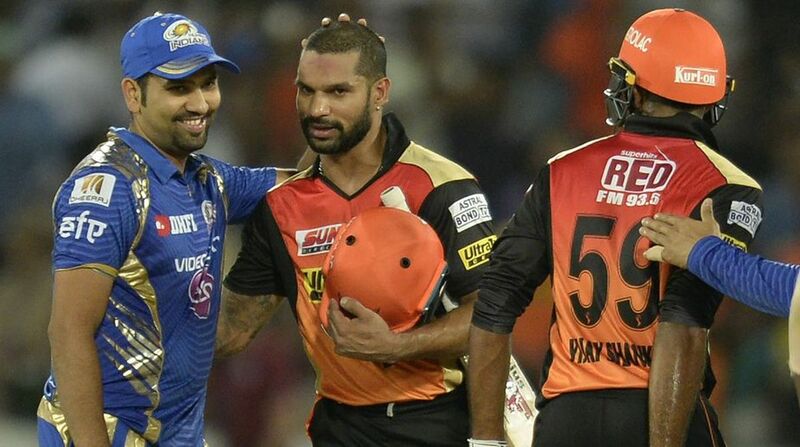 Senior Indian openers Shikhar Dhawan and Rohit Sharma could come together in the next season of the Indian Premier League 2019 as an ‘unhappy’ Shikhar Dhawan wants to leave SunRisers Hyderabad (SRH) and Mumbai Indians (MI) are reportedly discussing the transfer of the southpaw. As per a report published in Mumbai Mirror, Shikhar Dhawan, who has two more seasons left according to his SRH contract, is not happy with the team and has expressed his desire to leave Hyderabad. The reports also claim Dhawan’s argument with Sunrisers’ coach Tom Moody is also the reason he is not happy with the team. The left-handed opener ‘reportedly’ wanted to be retained by the franchise as the No.1 or No. 2 player as he is one of the top four limited-overs players in the Indian team. Shikhar Dhawan was bought by SunRisers Hyderabad in the Indian Premier League auction for Rs 5.2 crore after using their Right to Match card. In the auction, players like David Warner (Rs 12.5 crore), Manish Pandey (Rs 11 crore), Rashid Khan (Rs 9 crore), and Bhuvneshwar Kumar (Rs 8.5 crore), all got a better deal than Dhawan at the SunRisers. The report also said that the Mumbai Indian skipper Rohit Sharma is also quite keen on MI bagging the services of Dhawan. Speaking about Dhawan leaving for Mumbai, a SunRisers Hyderabad official reportedly admitted to the daily that the franchise was in discussions with Mumbai Indians to trade him. “If we get a couple of good players as a trade-off, we’re open to it,” the official said.